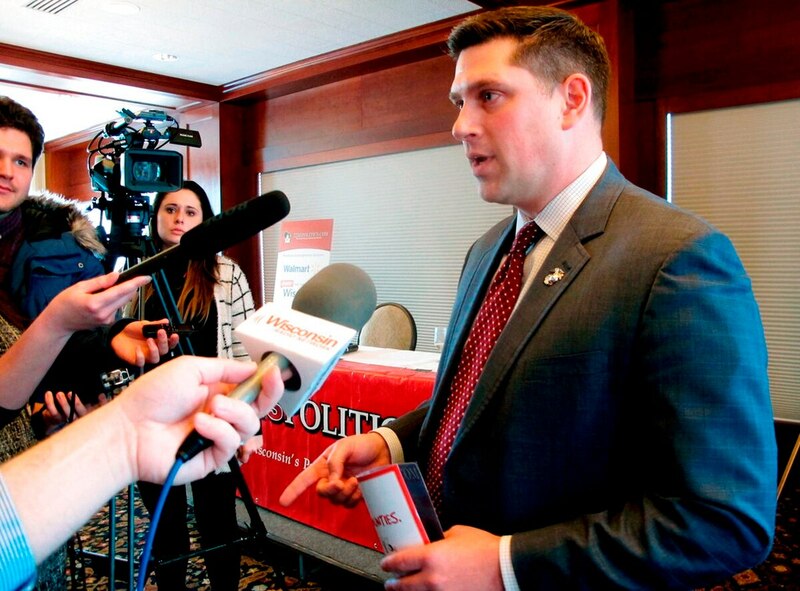 MADISON, Wis. — A defiant Republican U.S. Senate candidate in Wisconsin who is a former Marine refused to apologize Thursday amid a growing bipartisan backlash over comments he made about the military, including his questioning the “cognitive thought process” of veterans who are Democrats. Republican U.S. Sen. Ron Johnson said he’s going to leave it up to the voters to decide what to make of Nicholson’s comments. Nicholson faces Vukmir in the Aug. 14 primary. Vukmir, whose son is in the Army, has not commented on Nicholson’s statement about Democratic veterans. The two candidates did spar in a debate last week over Nicholson’s record, after Nicholson said his military service “doesn’t mean much to certain politicians.” Vukmir demanded he apologize for inferring she didn’t respect his service in the Marines.